1.1 Touch ID for one iPhone can store up to 10 individual fingerprints. So how do you register fingerprints on your own iPhone? Here’s how. 1.2.2 Make sure that the Home button and your finger are clean and dry. 1.2.3 Tap Settings > Touch ID & Passcode, then enter your passcode. 1.2.4 Tap Add a Fingerprint and hold your device as you normally would when touching the Home button. 1.2.5 Touch the Home button with your finger—but don’t press. Hold it there until you feel a quick vibration, or until you’re asked to lift your finger. 1.2.6 Continue to lift and rest your finger slowly, making small adjustments to the position of your finger each time. 1.2.7 The next screen asks you to adjust your grip. Hold your device as you normally would when unlocking it, and touch the Home button with the outer areas of your fingertip, instead of the center portion that you scanned first. 1.3.1 After you set up Touch ID, you can use Touch ID to unlock your iPhone. Just press the Home button using the finger you registered with Touch ID. 1.3.4 Make sure iTunes & App Store is turned on under Settings > Touch ID & Passcode. If you can’t turn it on, you might need to sign in with your Apple ID in Settings > iTunes & App Store. 1.3.5 Open the iTunes Store, App Store, or iBooks Store. 1.3.6 Tap something to buy. You’ll see a Touch ID prompt. 1.3.7 To make a purchase, lightly touch the Home button. 1.3.9 With an iPhone 6 or iPhone 6 Plus or later, you can use Touch ID to make Apple Pay purchases in stores, within apps, and on websites in Safari. You can also use Touch ID on your iPhone to complete website purchases from your Mac. If you have an iPad Pro, iPad Air 2 or iPad Mini 3 or later, you can use Touch ID for Apple Pay purchases within apps and on websites in Safari. 1.4.2 Turn Touch ID on or off for Passcode, iTunes & App Store, or Apple Pay. 1.4.3 Enroll up to five fingerprints. Each new print might make fingerprint recognition take slightly longer. 1.4.4 Tap a fingerprint to rename it. 1.4.5 Swipe to delete a fingerprint. 1.4.6 Identify a fingerprint in the list by touching the Home button. The matching print in the list will be highlighted briefly. 1.4.7 In iOS 10 and later, you need to press the Home button using Touch ID to unlock your device. To unlock your device using Touch ID without pressing the Home button, go to Settings > General > Accessibility > Home Button and turn on Rest Finger to Open. 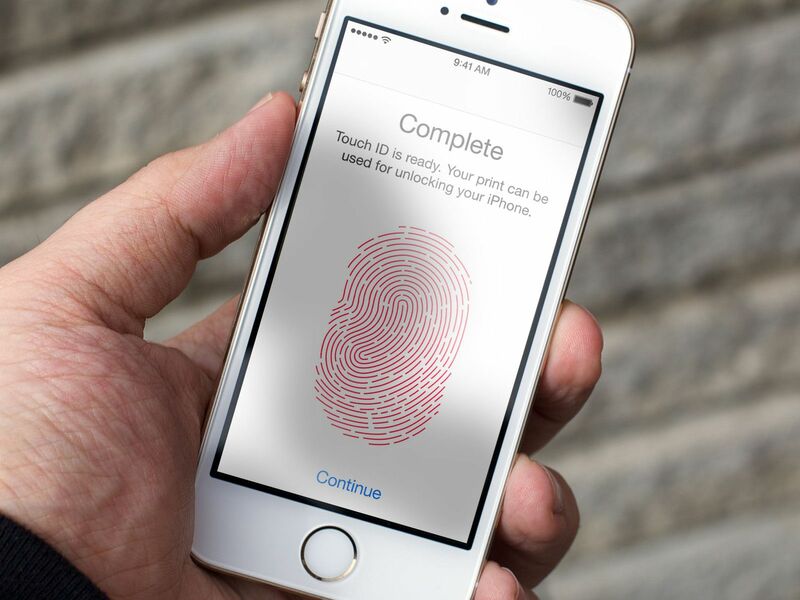 Touch ID for one iPhone can store up to 10 individual fingerprints. So how do you register fingerprints on your own iPhone? Here’s how. Touch the Home button with your finger—but don’t press. Hold it there until you feel a quick vibration, or until you’re asked to lift your finger. Make sure iTunes & App Store is turned on under Settings > Touch ID & Passcode. If you can’t turn it on, you might need to sign in with your Apple ID in Settings > iTunes & App Store. Tap something to buy. You’ll see a Touch ID prompt. In iOS 10 and later, you need to press the Home button using Touch ID to unlock your device. To unlock your device using Touch ID without pressing the Home button, go to Settings > General > Accessibility > Home Button and turn on Rest Finger to Open.